If you are with a small group or large family? This apartment for six people is a good choice. 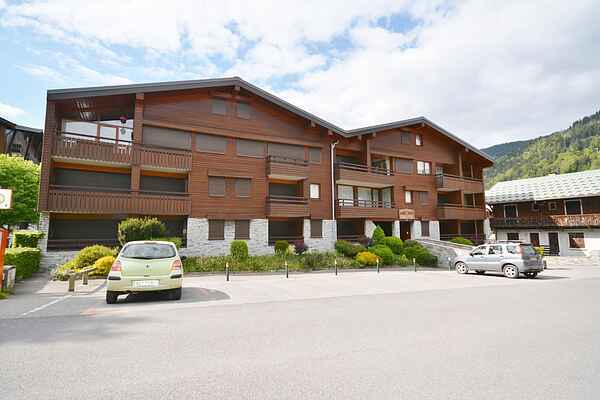 It is located in the center of Morzine close to the ski school and the cable car. The balcony is situated on the southwest! In the corridor stands a bunk bed, there are also two bedrooms, one with double bed. The kitchen is equipped with oven, washing machine and dishwasher. For your car is a reserved parking space at the house. Of course you can always store your equipment after use in special skilocker.Op 90 kilometers away from Geneva airport, the train station is 30 kilometers. The bus stop is 400 meter.Morzine is a lively and cozy winter sports village in the middle of one of "the world's biggest ski areas, Portes du Soleil. This means that you have access to one ticket on over 650km of pistes. In this village you will find no high-rise buildings, but many nice homes. the Morzine ski fits perfectly with that of Avoriaz and Les Gets. In the center is an ice rink and you will find several bars and restaurants.